Ava saying "cheese" for her Christmas pig; Kate just saying cheese. Here are some of the pictures of the girls and me. We are making Christmas cookies. 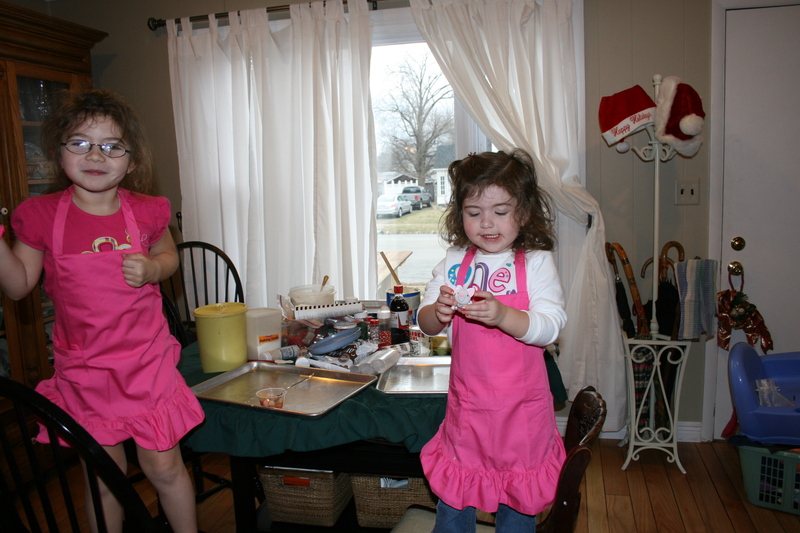 They have on their little pink aprons because I did not get around to putting the gingerbread men on their little red aprons. I may do that this week because we still have to make our gingerbread house. Yeah, I know. Christmas was yesterday. This has been a bad month. 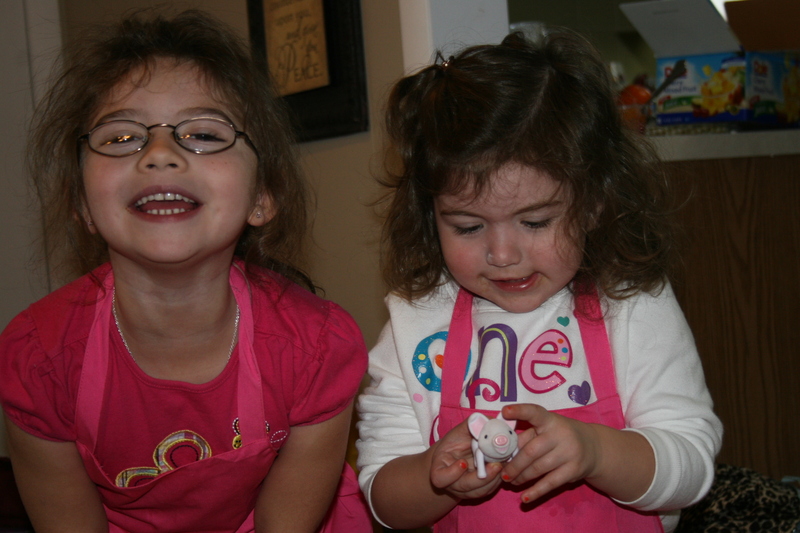 Ava still saying "cheese" for her Christmas pig and Kate acting like a monkey. I think. 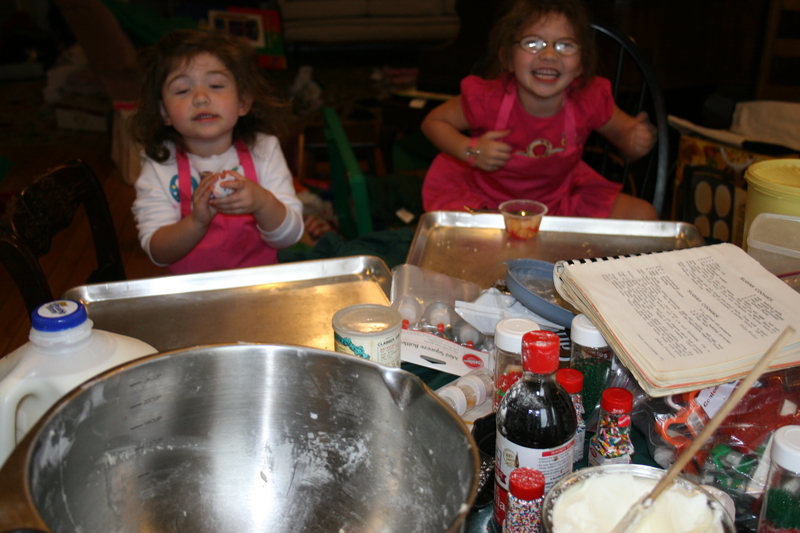 We had ingredients galore; a big, big mess; and two wild girls. 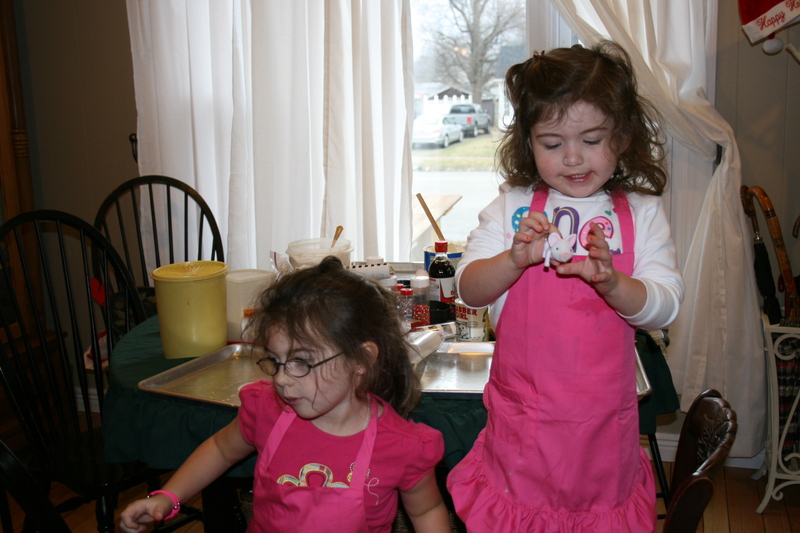 They cracked eggs and mixed with the mixer and stirred and flipped dough all over the place as they stirred. It was exhausting! And messy! The sugar cookie dough was finally made and wrapped in plastic wrap… to take home! I love those words: Time to go home now. They took their prized creation home for Momma to help them cut the cookies. I checked later and they were lovely, delicious cookies. Ava STILL pig cheesing; Kate STILL acting like a monkey. I think. I will post the recipe tomorrow. I’m still recuperating from Christmas. I will say it again….Those girls are so blessed to have you in their lives!!! I know you are truly blessed in return!!! Saw the Sugar Cookie recipe…On it!!!! ¨Thanks!